I have no idea how people do this! I read over 400 books this year, and have so many favorites. So, I thought I would have to get a little more specific in order to be able to pick just ten. What were some of your best of the best books this year? 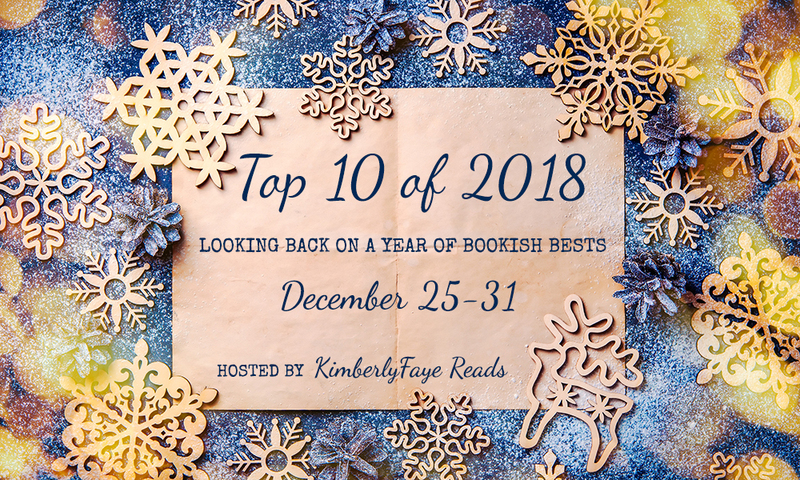 I found it impossible to pick out ten as I read so many great books this year. My shortlist ended up with 12 and I couldn't pick a winner! I am well over 400 books for the year, so every category was a struggle for me, but I went with the ones that kept popping into my head. I am strict about the "10" rule, otherwise, I would go on forever. 400 books! Wow! I can't even wrap my head around that. :) Color me majorly impressed. I love that we share several favorites. Love and Other Words, One Day in December, The Kiss Quotient. I can't believe I never got to 9 Days & 9 Nights this year! Yep. Between my books and audiobooks, I am at 427 right now, and I am almost down with Fragile Like Us. If only I could market my reading prowess. 9 Days & 9 Nights are for people, who liked 99 Days. A lot of people hated that book, but I appreciated the story, and always thought Molly and Gabe's story was unfinished. Cotugno gave them a sometimes painful, but ultimately beautiful new chapter with 9 Days. You read over 400 books? Wow, that’s awesome. I read 100, and I struggled to pick 10 favorites. I’m glad you found so many excellent books! Long commute, lots of time to read. I also read books that are much shorter than your's for the most part (under 500 pages) and fluff goes quicker too. We don't share any but the ones I did read were really highly rated - Love and Other Words, Starry Eyes, TKQ, The Geography of Lost Things and Rainy Day Friends. And wow to 400 books!!! Yeah, my super power is reading a lot. I wish it was more useful. I haven't read any of these yet! I am seeing The Kiss Quotient on so many lists and I have had an arc of that one forever so I have no excuses for not reading it. I will soon! Read it! Funny story. I had gotten approved for TKQ, but ended up listening to the audiobook, because it was released around the same time as a billion other books. I am more than glad I got to it. I have a copy of Starry Eyes that I STILL haven't read, I need to change that! I you are looking for something fun, READ IT! I adore Bennett's books. How do you manage to narrow 400+ reads to just 10 favourites? I read a bit over 100 and didn't manage that! I'm now feeling bad I've not read the majority of these years and kind of think I need to sort myself out. I wanted to read Starry Eyes and Love and Other Words a whole heap. 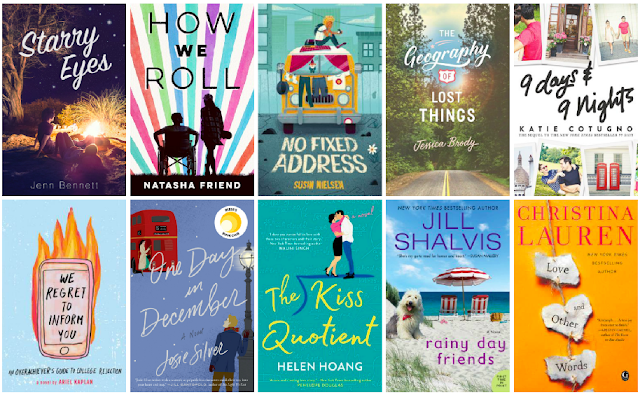 I am gonna go hang my head in shame and add all of these books to my TBR (apart from The Kiss Quotient, that book I could read on repeat and love it every time). It's really hard, but this whole week of posts was about favorites. I got to show love to other books in different ways. TKQ really is quite special. I hope the adaptation happens and that it lives up to the promise of the book. I think you would really enjoy Starry Eyes and Love and Other Words. Those books made me feel a ton of things, and left me with a huge smile on my face. I hope you get an opportunity to read one or both of those books, because mention of them never fails to bring a smile to my face. It looks like you have a great list here darling. I did enjoy The Kiss Quotient and I am planning on reading Rainy Day Friends by Shalvis this year so I am pretty excited for that one. Hope 2019 is a year of great reads for you. I love Shalvis and she pretty much always gets 4 stars from me, but Rainy Day Friends was just a little bit better than all the others for me. I think it was the family in the story, because I would love for her to write more books featuring them. It is soooo hard to pick just one. I had a lot of books that I really liked this year and Sadie was at the top of that list but I also LOVED Lady Midnight and Tara Leigh's books. I like your line up of BOTB tho. There are quite a few I want to read. You have convinced me to check out Tara Leigh. I am always looking for new romance authors, and I don't read enough rockstar books. I need to go back and finish The Kiss Quotient. I got stuck part way through, but was told by a friend to go back and pick it back up because the spot I stopped is right before where she said it got really good. Wow, 400 books. I barely got over 200 this year. But then I know I was writing, and definitely wasting time on game apps on my phone. :-( I couldn't narrow down to just 10 even with my 217 books read, don't know how you did with that many! I think you might have already commented on mine, but in case you didn't get the chance, HERE is the link again. I was so into TKQ from the very beginning. It's an odd set up, but once Michael bought into it, and I got to know more about him, I was sort of all in.